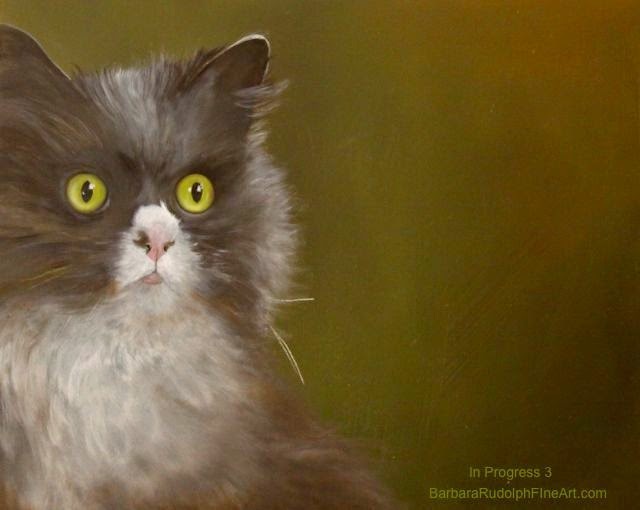 I recently finished up this new oil painting called "Here Kitty Kitty." It was a very fun painting and I took photographs of my progression which I have posted below. 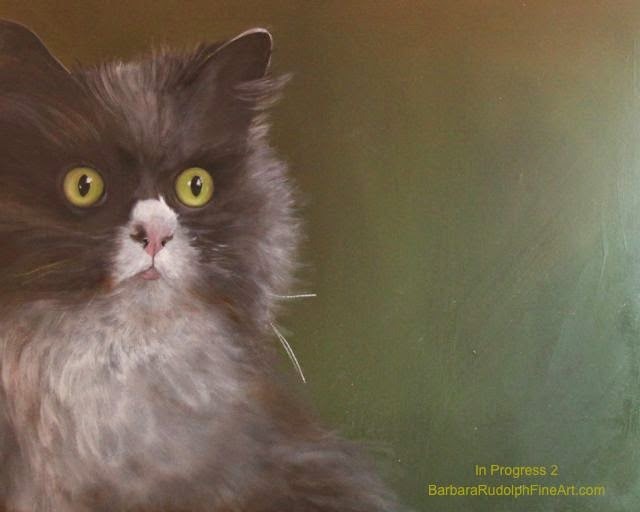 This painting will be for sale at my winter show "The Celebration of Fine Art" in Scottsdale. 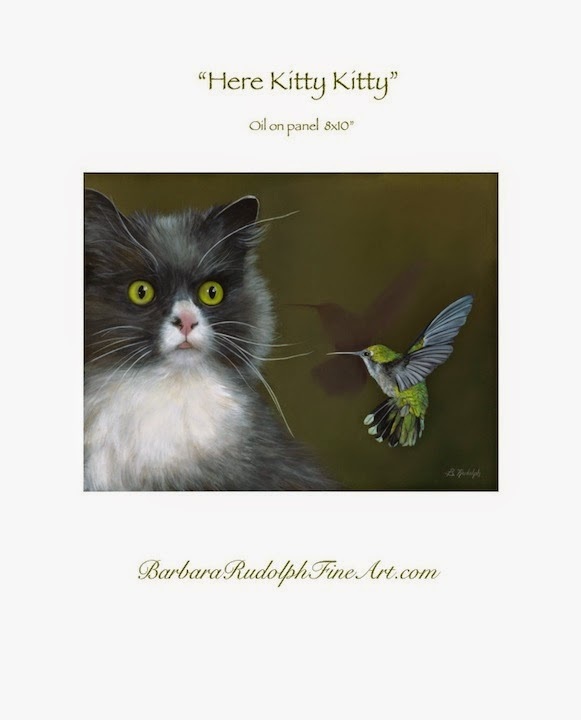 I will offer giclee prints too. 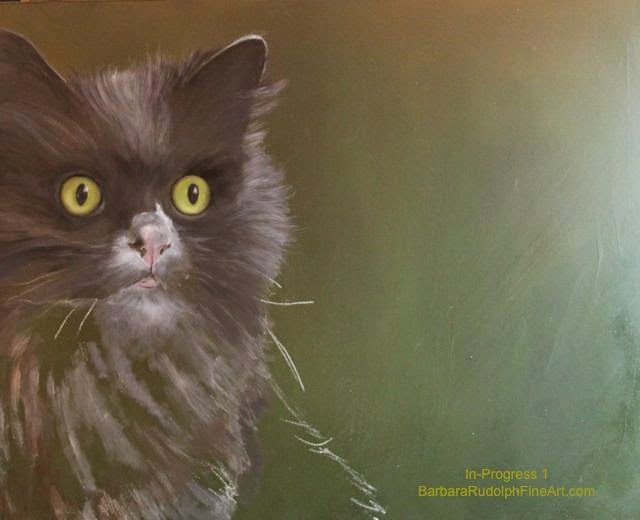 I want to say a quick thank you to a very sweet lady named "Henny Netjes" from the Netherlands, who allowed me to paint her kitty named "Fluffy." She has a beautiful blog called "IWings" which I will put a link to at the end of this post. We met over the internet through blogging. 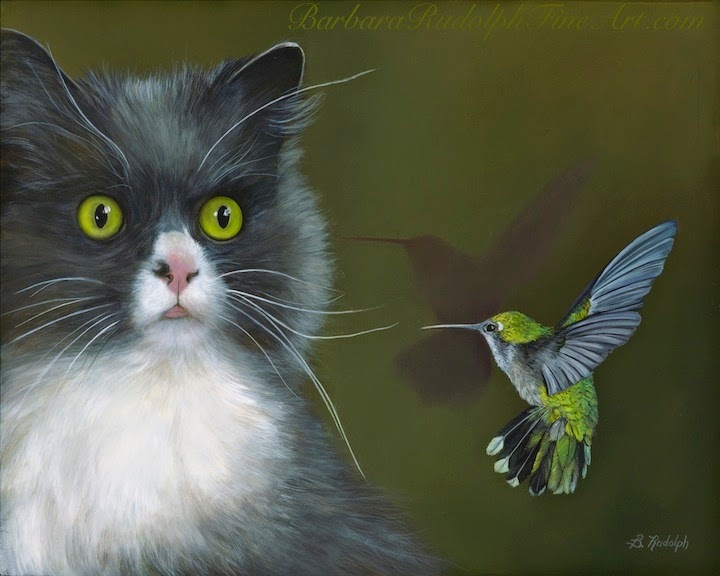 I thought her photo of Fluffy with the big wide eyes would work perfectly for my idea of a painting with a little "hummingbird." 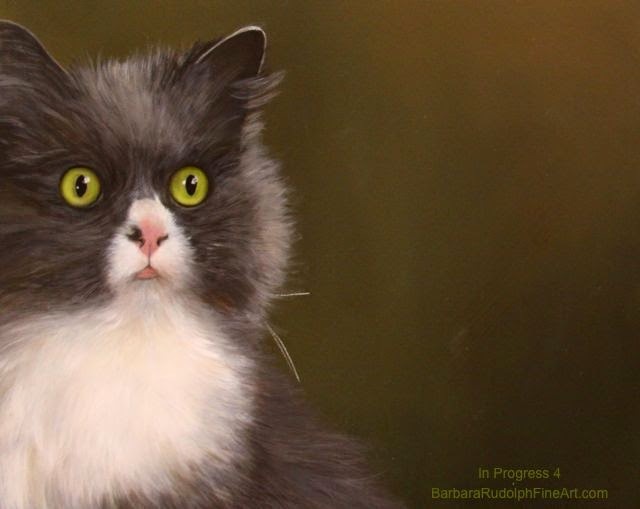 She was kind enough to allow me to paint her kitty. Just starting the painting here. 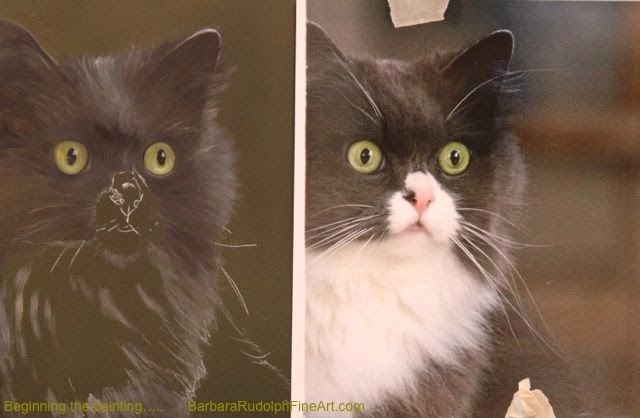 I worked from a photograph of Henny's kitty on the right. Getting more darks and lights in now. Also more shading into the background area. 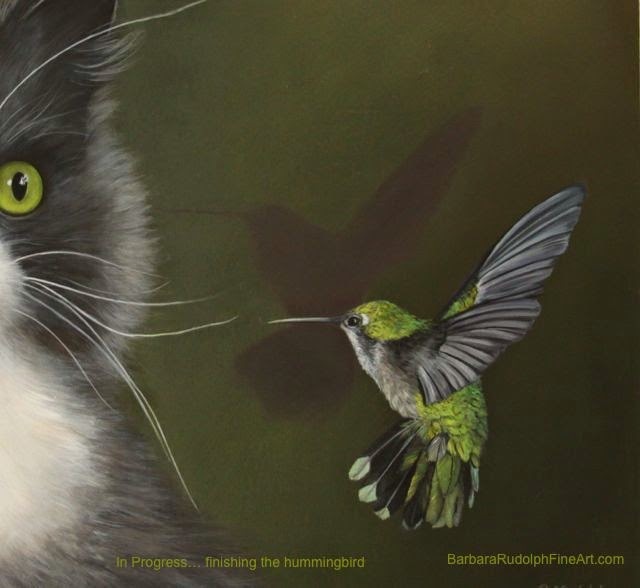 Painting in the hummingbird and the shadow area of the hummingbird here. I darken the shadow more here. It was really stiff looking at first. I had to soften it quite a bit afterwards. You can see the difference in the finished painting. I also worked another layer of color on the hummingbird. 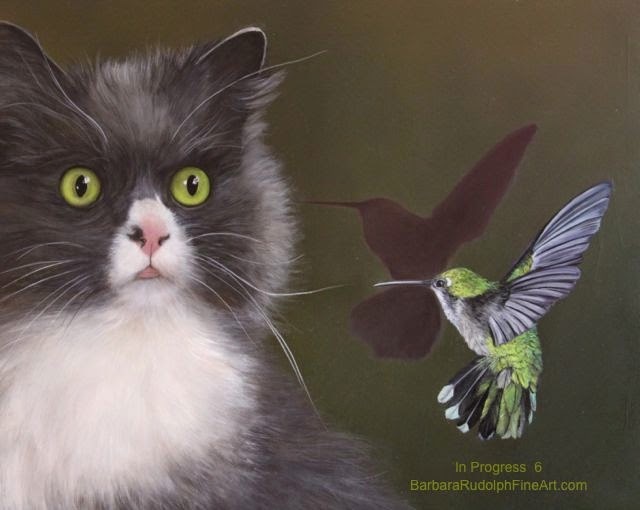 After softening the shadows I did another layer of color again to my hummingbird. It's really taking shape here.